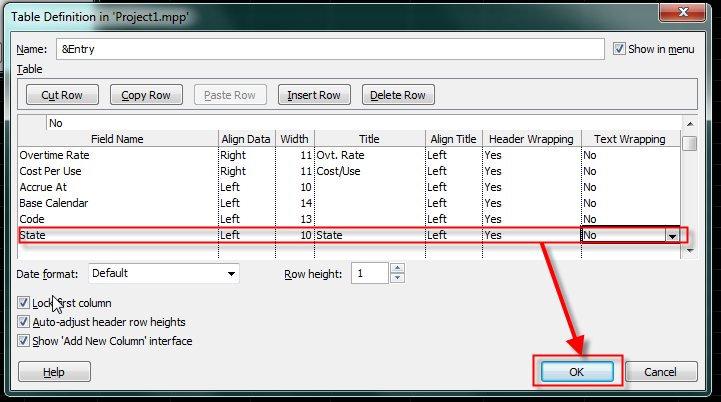 ← Customizing Views in MS PROJECT 2010 – Part 2.
in this Post I will explain how to use custom fields in MS PROJECT 2010. Cost. Use this type when you need a field in which you will put cost in currency. There is up to 10 Cost type fields. Date. Use this type when you need a field in which you will put date. There is up to 10 Date type fields. Duration. Use this type when you need a field in which you will put duration expressed in time. There is up to 10 Duration type fields. Start. Use this type when you need a field in which you will put start time expressed as a date. There is up to 10 Start type fields. 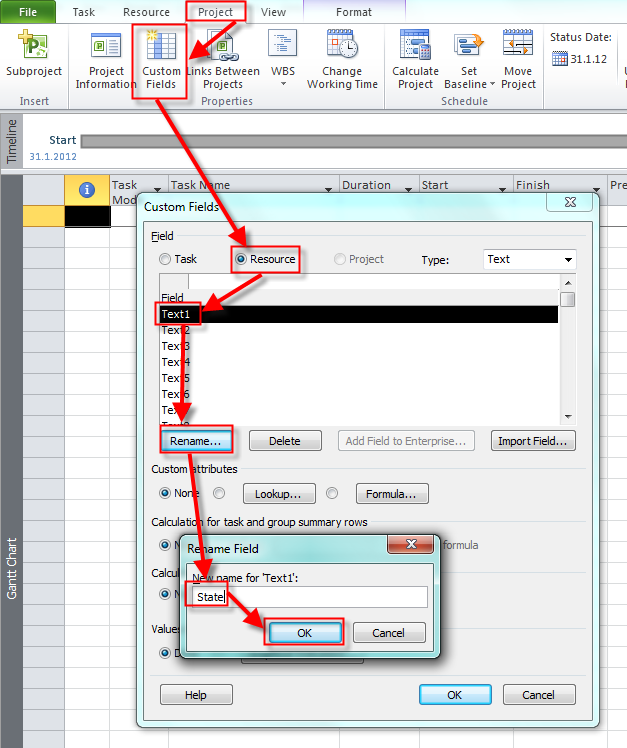 Those fields are used for Interim Plans in MS PROJECT 2010, so my advice is that you should use Date type instead. Finish. Use this type when you need a field in which you will put finish time expressed as a date. There is up to 10 Finish type fields. 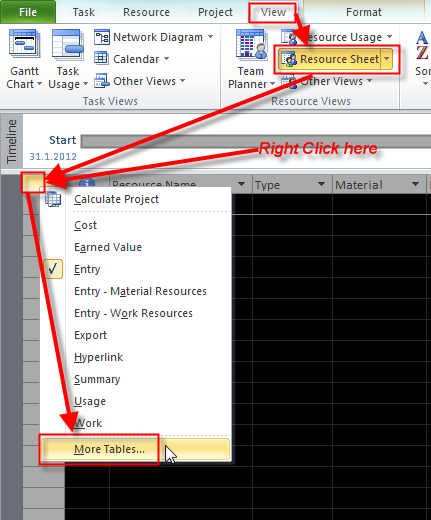 Those fields are used for Interim Plans in MS PROJECT 2010, so my advice is that you should use Date type instead. Text. Use this type when you need a field in which you will put text up to 255 characters. There is up to 30 Text type fields. Flag. Use this type when you need a field in which you will put YES/NO flag. There is up to 20 Flag type fields. Number. Use this type when you need a field in which you will put numeric data. There is up to 20 Number type fields. Outline Code. There is up to 10 Outline Code type fields. I will explain them later in my next Post. 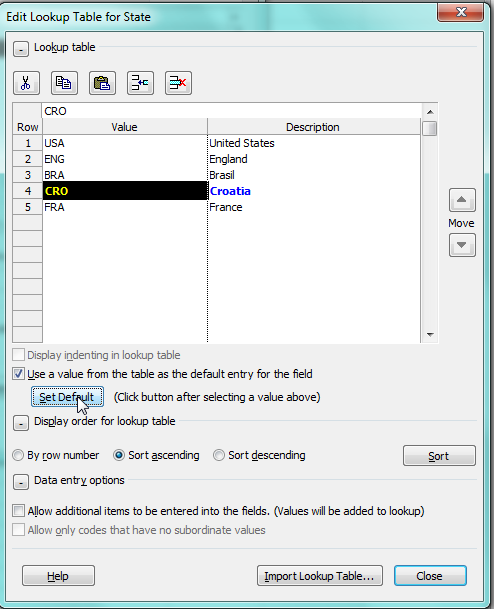 Custom fields can be applied to Resources or to Task. For my first example, suppose that you need information about State from which your Resource is! I choose that Display order will be Ascending, and I do not want to add any further States in this field. 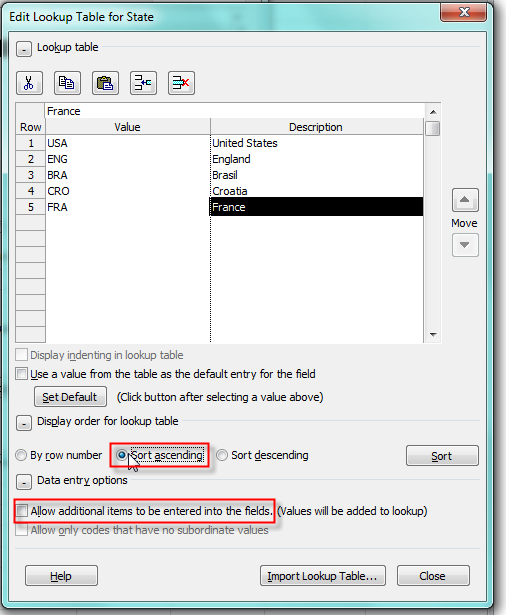 If I put check mark in Allow additional items to be entered into the fields, then user can simply add any value (text) in this field on the screen (which I will explain next), and in that case this value (text) will be added in lookup table. It is simple, isn’t it. I have applied custom Text field. I could apply any other type of custom field in the same way, except Outline code. My next Blog post will be about that! This entry was posted in MICROSOFT PROJECT, Microsoft PRoject 2010, MS PROJECT 2010, PMI, PRoject Management and tagged Microsoft Project 2010, MS PROJECT, MS PROJECT - Custom fields, MS PROJECT 2010, PMI, Project Management. Bookmark the permalink. Do you by any chance know how to hide the formula that we customize. 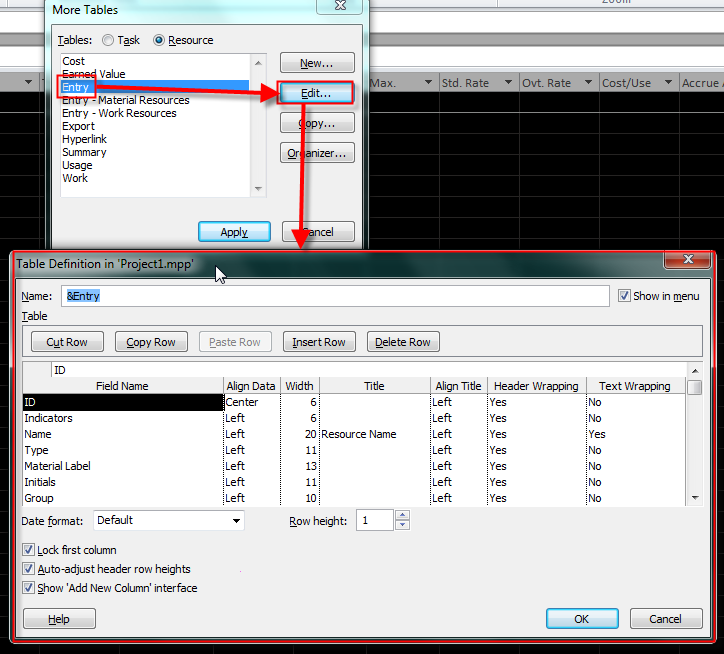 So that when we send our file to other person he cant view the formula. He just can do the tracking but cant see the formula that we already customize. No way! If this person now how to look the formula he will be able to do whatewer he wants! 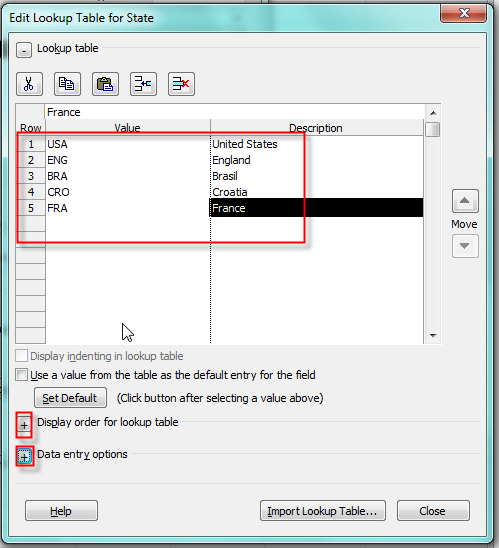 Hi I am having a problem with custom fields , I have added the lookup values and save it. 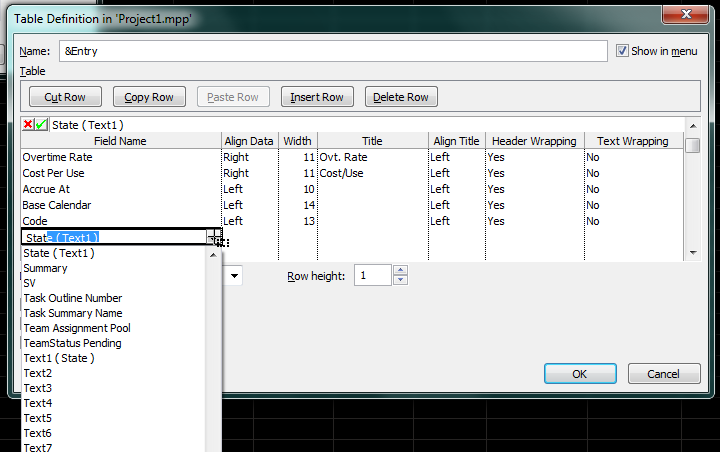 When i choose the values inserted at the lookup, it appears but remains blank at the project. Is it possible to see the description in a ‘group by summary task’ instead of the value? This way i can read Croatia instead of CRO in the group by summary task. This is useful, so i can use short codes in the custom text fields, and others can read what the short codes mean after grouping. 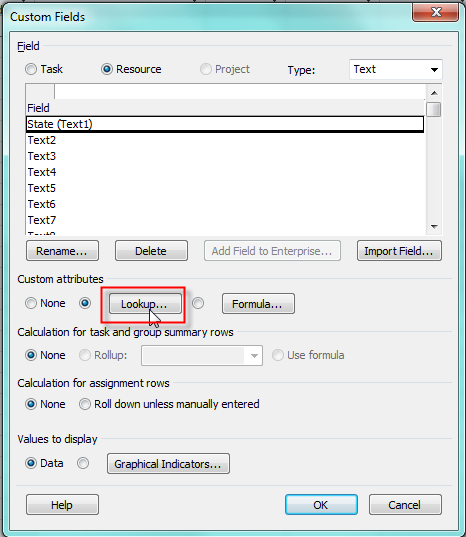 I did it with custom fields, but after grouping the summary task shows the value and not the description. Now i’ve got MS Project 2010. It worked fine in MS Project 2007. I know i can use the custom outline fields instead of the custom text fields.